Waking up with a stiff neck is one of the most uncomfortable things one can suffer and you certainly do not want to wake up with one. A cricked neck will usually go away on its own, but you need to know how to get a crick out of your neck because no one wants to wait around for nature to takes its course while in discomfort and pain. A crick in the neck can manifest as mild stiffness or stiffness and severe or sharp pain. A crick in the neck basically refers to stiffness in the muscles in the lower neck and shoulder blades and is different from chronic or regular neck pain, which can be recurrent and predictable. The most common cause of a crick in your neck is an awkward positioning of the neck for a long period while seated or sleeping. When sleeping, it could be because you are not using the right pillow or mattress or because you simply slept in a bad position. This has the effect of stretching the muscles and tendons of the neck and shoulder abnormally thus putting pressure on the nerves in the neck area, and causing stiffness even to an arm. Stiffness and pain in the neck is also common after exercise, especially running or weight lifting where people tend to apply incorrect form and end up straining the neck and shoulder muscles. In a few cases, pinched nerve or the side effects of arthritis are the other reasons why you may experience a crick in your neck. This may surprise you- stress could be the cause of your neck stiffness and pain! The bodies reaction to stress is to become tense which leads to a stiffening of body posture which can lead to stiffness in the neck, shoulders and other areas of the body. If you wake up with pain in the neck, which in some cases could extend to an arm, usually the affected side of the body, you most likely have a crick in your neck. Additionally, the pain may be accompanied by stiffness of lower neck and shoulder muscles. You may also experience mild swelling of the neck and difficulty moving the neck in severe cases of a stiff neck. A crick in the neck should last a few days to a week depending with what caused the damage caused. The effectiveness of the treatment to relieve pain and stiffness will greatly determine how fast the crick disappears and if one does not apply any remedy, it is likely to last longer. The first thing you want to do is to relieve the pain in the neck muscles. Go for any over the counter pain killer for anti-inflammatory medication to reduce any swelling and to fend off the pain. This is for immediate and temporary relief and must be accompanied by other remedies to kick out the crick in the neck completely, otherwise, once the painkiller wears off, it will be back to pain all over again. 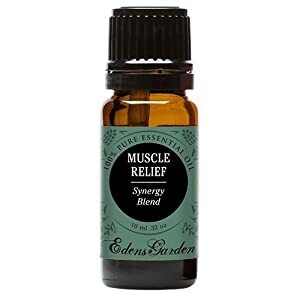 Give the affected areas alternating cold and warm presses for further relief. Begin with a cold press for about 10 minutes to reduce inflammation. A bag of frozen vegetables like peas or ice cubes wrapped in a towel will work well. For the hot press, use a heating pad in low setting, bottle with moderately hot water, or take a warm shower and hand press the area affected. Heat serves to reduce muscle spasms and soothe sore muscles. Lie down on your back severally throughout the day to avoid more strain of the neck from supporting your head while up and from the movement. Lying down on your tummy can worsen your condition because the neck could be strained more or may even be twisted. Reduce demanding activity and movement for few days. If you have a severe case of stiff neck, support your neck and keep it in place to avoid more damage and pain. Keep your neck supported by wearing a neck brace, wear a scarf around the neck or use a soft pillow behind your head while seated. Gentle stretching exercise on the neck will help a great deal. Stretching the neck and shoulder muscles can relax the nerves in the neck area and free them from the stiff muscles. Move your neck gently from side to side and hold it in place for 30 seconds on each side and rotating the neck around- stretching up to where the pain allows. Do not over exert. A gentle massage is a good reliever. Rub the back of your neck gently for about 5 minutes with your fingers and do the same for the shoulders. If you cannot do it yourself, get someone to do it for you. Be careful not to do apply a lot of pressure and hurt your neck more. You do not want to sit or sleep in a manner that will aggravate the problem further. Mind your from and posture by keeping your straight as you sit or sleep but do not stiffen it to keep it in position. Adopt the right sleeping posture; sleep on your side as you sleep or lie down on your back. Those are the seven DIY remedies how to get a crick out of your neck. Neck stiffness and pain should disappear within three days to a week. If it takes longer than that, it is time for you to visit a doctor and find out what the problem really is or why it is persisting, Usually, prolonged neck pain may be a sign of a totally different problem from a crick in the neck. Remember, these remedies should be used in concert; using one alone may not be as effective or may take you longer to heal. 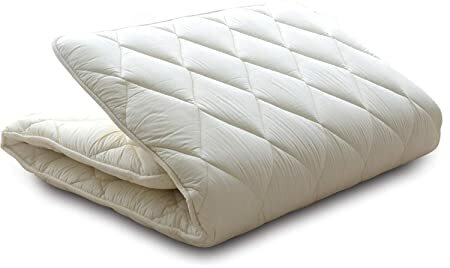 An air mattress is a good addition to have in your home because it can be used as an extra bed when you have guests sleeping over or even for camping trips or other out door activities. Air mattresses offer not only the convenience of being able to have a bed anywhere but they are also comfortable and relaxing to sleep on. The Lazery sleep air mattress is a great option if you want a good air mattress. Air mattresses are well priced with a variety available to those who want, depending on what or here one wants to use it. They are built for both indoor and outdoor considerations; there are certain features to consider if you want to purchase one and how you want to use it. If you are a camper, you want to look into aspects like durability and size or if it requires a power source to inflate. You do not want to pick a mattress only to find out that it is too small for the person who will be sleeping on it or too big for the space where you want to use it. Consider the size while the mattress is inflated because that is the state in which you will be using it, and look at the space it will need for storage while deflated. You want a mattress that will fold into easily and be compact enough to store easily without needing a lot of space. Children are very easy to please as far as an air mattress is concerned. As long as it inflated, whether low, it is comfortable enough for them and they will be excited about it anyway. For older people, a low sitting air mattress can mean a lot of discomfort, especially for those with joint or other health problems, who may find it difficult getting down on a low mattress. For older people, you should consider the height from the ground and should probably get a high inflating mattress or one that comes with a bed frame. It is an air mattress because you will need to pump in air to use it. There are mattresses which will require a power source to inflate, some only require a hand-held pump and others can be blown by blowing through the mouth like a balloon. Always go for an air mattress with the essential features. Any unnecessary extras, which you will not use, only serve to increase the price but will not help you in any way. Things like an LED light or USB ports may not be necessary for a mattress you will only use indoors. 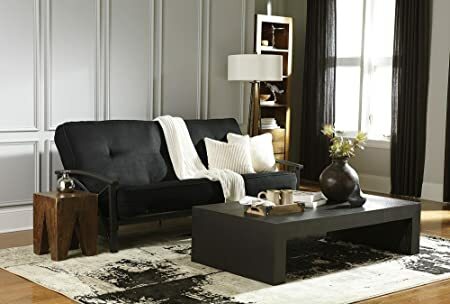 Since it is vinyl material that is used to trap the air for the mattress, you should consider one with an added sleeping fabric surface to prevent slipping. You want a sleeping surface that will not leave you cold from sleeping on vinyl because the bedding cannot stay in place because of the slippery surface. For top comfort, Lazery air mattresses use an industry leading ComfortCoil Technology design of 40 internal air coils on the Queen size and 21 internal air coils on the Twin size, for better and comfortable support. The coil technology ensures that the bed remains firm for comfort as you sleep; a double chamber functionality and a raised “Double-height” lifts the user 19 inches. We have explored the need for a sleeping surface grip for a good air mattress. That is what the sure grip does for those who get this mattress to prevent unwanted sliding. This is not the mattress to get you up at night because the bedding has slipped off leaving you on an open mattress. It is made to be extra thick for added comfort while sleeping on it and is multilayered for durability and to make it puncture resistant. The mattress comes with an in-built pump for inflating the mattress to pump air. It is a one-click pump, it is quiet and will get the job done in about 4 minutes. It is easy to deflate and store in the carry bag it comes in. The remote control is to enable the user to easily change functions to exploit the seven mattress firmness options that come with the mattress. Enjoy the firmness level you want without getting off the mattress to inflate it further or to deflate it. It is durable because the enhanced thickness, water proofing flocked top and of course, the multi-layering and puncture resistance. You will not worry about quick aging or easy damage to the mattress because it is built to last you a long time. You do not have to worry about losing the firmness because of air escaping. It has good air retention and will be firm throughout the night: The Lazery does extremely well dealing with air loss. It remains firm all night. For what it delivers, the price tags on the Lazery sleep air mattress is worth every penny. Even though it may be a little expensive than other brands, it is worth every extra penny. The Lazery air mattress I the best option for indoor use and for the person who wants to engage it for outdoor activity. It leaves no doubt that it is designed for maximum and customizable comfort through the coil technology and the LED remote control feature which allows one to pick the firmness level desired. The coil technology further ensures that one will have the right sleeping posture and does not have to suffer the damage caused by sagging mattresses. Stay healthy while sleeping soundly throughout the night. There is nothing more annoying than a slippery mattress which causes the bedding to lose grip and you are left lying on a cold vinyl surface. The sure grip surface included is meant to keep your covers in place once on the bed so that they do not slip. These mattresses have put a lot in sleep posture consideration, comfort and durability which makes the price competitive for what the customer gets to enjoy from it. The quality of the air you breathe is a very important consideration for good health and wellbeing. Since you spend most of your time in the bedroom, the air quality and the humidity have to be of the right level. We shall explore how to control the humidity in your bedroom to keep you healthy. The humidity level of your room can determine whether you have sufficient quality sleep or not because it can affect the temperatures. Humidity in a very simple definition refers to the dampness of the air; too much or too little of it is unhealthy because it can cause illnesses or trigger allergies. Why is humidity important for sleep? When the air is too damp, the body struggles to regulate its temperature and you may have a hard time sleeping as is common during the summer season. Conversely, when the air is too dry as happens during winter or in desert environments, it will cause skin and sinus problems and difficulty sleeping. A good balance of humidity is important for overall health and wellbeing as well as the health of hair and skin. Ideally, the best humidity levels for your house are between 30% – 50%; if you are waking up at night sweating because it is too hot or because it is too cold, it could be a question of the room humidity. In hot weather, the air tends to have high moisture content thus more humid, thus turning on your air conditioner reduces humidity by doing away with the excess moisture. Conversely, very little moisture content in the air means low humidity, as is often the case in cold weather. Running your heater or lighting a fire can make it worse because the heat will dry up the air leading to dry skin, chapped lips, nosebleeds or difficulty breathing. Use a hygrometer, to gauge the humidity levels and to help you control the humidity in your bedroom. The right level will prevent sleep problems and any other issues that may arise. With an accurate measurement of air moisture content, you are able to decide whether to leave things as they are, or take steps to increase or reduce humidity. The best way to control air moisture depending with whether there is low humidity or high humidity is to use a humidifier or dehumidifier respectively and are self-regulating by measuring air moisture levels and correcting accordingly. A humidifier, which works by evaporating water from its filter to increase moisture content in the air, will vaporize less or more water depending on the room humidity level. A dehumidifier, on the other hand, works by getting rid it of excess moisture from the air to make it less humid. Low humidity is common in cold the cold seasons or cold climates because cold air cannot hold water moisture. Low air moisture means dry air in your house and causes dry skin, dry nose and throat, and increases your chances of catching a cold. Low humidity also has a negative impact on your home and furniture. It causes damage to wood and drywall by shrinking them. To make things better, use a humidifier to increase humidity. On the other hand, high moisture content in the air is not good. High humidity is the nesting ground for insects such as cockroaches which can mean illness and insect infestation. High humidity causes peeling of paint and wallpaper, stains ceilings and walls. Molds will also grow in these conditions thus causing allergies and other health risks. This is generally a problem of modern homes which are designed to be energy efficient by preventing energy loss, either by not allowing heat to escape or keeping the house cool and thus trap moisture as well. Now you know why humidity is important for good health and sleep. Without the right air moisture level, you cannot sleep well or get sufficient quality sleep, because it is not just a matter of feeling sleepy and laying on a comfortable mattress. The portable or room humidifier is the most common one and can be moved from one room to another. It comes in two types- cool and warm mist. The cool mist has a wick to absorb water which is blown by a fan through a filter and as it passes it evaporates and is vaporized into the room. The warm mist humidifier has a heating element to heat water after which it is vaporized into the room. The water reservoirs for both must be refilled every 24 hours. The other kind is the whole house humidifier, which is the most controllable but is expensive. It is added to the heater and then water is vaporized directly into the heated air and circulated throughout the house via the air duct system. There are two ways to deal with high humidity, fans or a dehumidifier. Fans can be expensive, leaving the dehumidifier as the most cost-effective option; it is simply an air conditioner with both hot and cold coils. Sciatica is a condition characterized by pain that runs from the lower back down to the buttocks, the legs and down until the “below the knee” area. The pain is caused by irritation of the sciatic nerve (hence the term, sciatica) which is the widest and longest nerve in the body and controls the lower leg muscles. Because of the concerned nerve, you may not just experience pain—you may suffer from discomfort as well. In fact, a lot of seemingly normal activities such as walking, sitting, standing and most of all—sleeping. In this article, we will get to know more about this condition and find out the ways on how to sleep with sciatica. Sciatica is caused by a wide array of conditions. According to studies, 90 percent of sciatica cases are caused by a herniated slipped disc. The spinal column consists of three major parts—vertebra, disks, and nerves. Disks are made of cartilage which cushions each vertebra, allowing the spine to be as flexible as possible. A herniated disk is caused by a disk being pushed out of place, placing unwanted pressure on the sciatic nerve. Based on statistics, people between their 30’s and ’40s have higher chances of having sciatica. Physically inactive people who sit for long periods are at more risk of having sciatica as compared to people with active lifestyles. Workers having to deal with heavy lifting for prolonged periods are also at risk of having this nerve condition. Sciatica is not the condition in itself—it is just a symptom of a bigger sciatic nerve problem. The sciatic nerve is made up of five nerve roots in the lower back region. The kind of symptoms you feel will help determine which part of the sciatic nerve is pinched. For example, numbness in your feet may indicate that the pinched part is the nerve root located near your L5 vertebra. You may experience multiple symptoms. What you should understand is the fact that many of these nerve roots can be pinched at the same time and because of this, you may feel pain or discomfort in different portions of your lower back. Symptoms relief may be experienced in a short amount of time. According to studies, people with sciatica may experience relief from symptoms within 6 to 12 weeks. One of the biggest challenges you can ever experience is sleeping peacefully. Most people suffering from pinched sciatic nerve feel discomfort when they sleep. The most important thing that you need to understand is that your sleeping position can make a huge difference in the quality of sleep that you will have. With that in mind, we present to you—the best sleeping positions that can help you with your condition. Oh, we also included the worst sleeping position that you should avoid if you want to enjoy a good night’s sleep. Aside from other side sleeping benefits, this sleeping position can also alleviate the pain associated with sciatica. There is, however, one issue that you need to deal with. When you lie on your side, your top leg will tend to roll forward and rest on the mattress. This will cause you pain since such a position will put a twisting pressure on your lower back and ultimately, the sciatic nerve. To address this issue, you can simply place a pillow or two in between your legs. This prevents your body from twisting and at the same time, maintains your leg and spine in a neutral position. This position also delivers extra support to your body and keeps your hips squared and your lower back protected. This sleeping position can be considered both as best and worst sleeping position, depending on a few little tweaks. To make it more of the former, it is recommended that you place a pillow underneath your knees and a rolled towel under the small curve of your back. This puts you in a supine position which preserves the natural curvature of your spine. But if you would not follow this simple tip, sleeping on your back can be the worst position of all. In fact, you may even experience greater pain than before because it places your spine in a flexed position which can cause further irritation to your sciatic nerve. While sleeping on your back (with pillows under your knees, of course) can help with sciatic nerve pain, this sleeping position is not advisable if you have sleep apnea or snoring issues. This is the worst sleeping position of all—with or without sciatica. This is because it causes the natural spine curvature to flatten. Since your head is turned to one side, it places unnecessary strain on your neck. This will not only worsen your sciatica issues—it may cause back and neck pain in the long run. If you have been sleeping on your stomach for a long time now, you may want to try out a few tips on how to change your sleeping position. While you are still in the process of doing so, the least that you can do is to place a pillow under your abdomen to correct the curvature of your spine. Take advantage of a body pillow. If you have noticed, most sleeping positions can be improved by placing pillows either under the knees or at your back. The best pillow that you can use is a body pillow. After all, this pillow is designed to accommodate the different parts of your body. It is considered to be less bulky than standard pillows so it won’t put your spine in an awkward position. Find the best mattress for your needs. – Stomach sleepers would benefit from a firmer mattress that aligns and keeps the body afloat. – Side sleepers would benefit from a soft yet supportive cushion. The mattress must deliver adequate support to the user’s shoulders and hips. – Back sleepers would benefit from medium-firm mattresses that offer full-body support. It is recommended that you place a pillow or two under your knees for better support. But for some people, this elevation may not be enough to help them sleep comfortably. If you are one of these people, the best thing that you can do is to bend your knees while you lie on your back. Look for the perfect knee elevation that can keep you pain-free and comfortable. Afterward, add pillows to the mix until you have achieved your desired elevation. If you have money to splurge, you can also try investing in a mechanical bed. The footrest and headrest of this bed are easily adjusted to suit your liking. A warm (not hot) bath is not just useful in alleviating pain associated with sciatica—it is also effective in relieving general pain types as well. This is because a warm bath can stimulate the production of endorphins (hormones that fight off pain) in the body. It also promotes the relaxation of muscles that surround the sciatic nerve. If you don’t have the time or energy to take a warm bath at night, the best alternative that you have is to place the hot water bottle in your buttocks or back few minutes before you go to bed. Ice the affected areas of your body. If you do not like the idea of applying a warm bottle on your body, then the next best option is to ice the sore areas in your body before going to bed. You can do this by placing an ice or cold water pack on your lower back or buttocks for 20 minutes. Buy a good neck pillow. Most of us love to lie on fluffy pillows because they feel soft and heaven-like. Sadly, these types of pillow won’t do your sciatic nerve any good. No matter how comfortable they are, you should know that fluffy pillows do not offer any support. If you want to reduce lower back pain, you should keep your cervical spine properly aligned using a firmer neck pillow. Aside from sciatica relief, this can also prevent neck pain. Enjoy sciatica massages before you go to sleep. One of the best pain management techniques for sciatica is massage therapy. It can help bring immediate relief to sciatica pain, allowing you to sleep faster and more comfortably. The best thing about it is that you do not have to go out of your home to get this type of massage since you can do it on your own. Place your palms on your lower back. Rub it sidewards towards your spine then downwards to the buttocks. Afterward, put your hands in your waist, wrapping your fingers around your sides. Apply firm yet gentle pressure to your spine. Lie on your back. Bend your knees and put your feet flat to the floor. Make fists then put them on the sides of your lower back. They must be placed in a way that your knuckles are against your back. Keep this position for one to two minutes. Roll to your side then assume a fetal position. Keep this position for 5 minutes. Lie on your best side. If you are a side sleeper, make sure to lie on the side that you are most comfortable with. But if you are a combination sleeper, you will tend to shift from one position to another. The movements may worsen your sciatica. To avoid this, place a tennis ball in your pockets. If you shift from one side to the next, you will feel discomfort that would prevent you from doing so. Light stretching keeps your muscle relax, reducing the pressure on your sciatic nerve. Some of the best stretching exercises for sciatica include pelvic tilt, figure 4 stretch, knees to chest and many more. The best thing about most of these exercises is they can be performed in the comforts of your own bed. Make sure that the stretching exercises you will perform are not too strenuous as intensive exercises may cause adrenaline rush, preventing you from falling asleep right away. If you have been prescribed with pain medications, take them as prescribed. Keep in mind that you should not take any over-the-counter pain medications without consulting your doctor first. For most people, pain associated with sciatica may go away for 6 to 12 weeks. That is a short period of time, but still, your health will take its toll when you do not get enough sleep even for just a few days. That is why it is crucial that you figure out the most effective ways on how to sleep with sciatica. We hope that the information that we have provided in this article can help you to sleep comfortably and pain-free even with your nerve condition. If you have any more questions or issues, please share them with us in the comments section below. ICD-10 CM or the International Classification of Diseases, 10th Revision, Clinical Modification is the current ICD coding system used in hospitals in most countries today. As a medical practitioner, you need to understand how it works and how it is used to maximize its benefits. If this is your first time to encounter ICD-10 CM or simply want to know more about it, you have come to the right place. Scroll down to find out more about what ICD is, ICD Coding Guidelines, who uses ICD, why ICD exists, and other relevant information you need to know! ICD is a system developed by the World Health Organization (WHO) for classifying and coding disease symptoms, diagnoses, complaints, irregularities, and procedures. Endorsed in May 1990 by the 43rd World Health Assembly, ICD-10 is a system currently adopted by the American healthcare system as well as those of more than 100 other countries around the world. It has been cited in at least 20,000 scientific articles. The codes of ICD are essential in recording medical diagnosis and procedure information on different patient cases. Statistical analysis, proper documentation, and correct billing relies on accurate coding. At least one Diagnosis code and/or Procedure code must be assigned for a patient to bill for a hospital visit. ICD is a global language regarding health information and a standard used in morbidity and mortality statistics. Aside from its application in research, defining and studying diseases, and clinical care, ICD is also used as a reference for the management of healthcare, monitoring of outcomes, and allocation of resources. The primary purpose of ICD is to promote an international standard in the collection, classification, definition, processing, and reporting diseases and health conditions. It a universal language that serves as the foundation for comparing and identifying patterns in health trends and statistics worldwide. The ICD is regularly revised and updated so that it can accurately reflect new discoveries and advances in medical science. It allows medical practitioners to keep count of diseases, deaths, symptoms, injuries, contributing factors that affect health, and causes of disease. 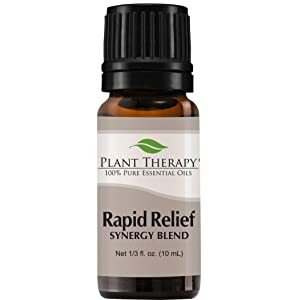 Read more: Top 5 Best Essential Oils for Pain Relief 2019 – Reviewed and Compared! Comparisons of health information in the same places across time periods. ICD is also used in monitoring the prevalence and incidence of diseases, observing trends in resource allocation and reimbursements, and keeping track of safety and quality guidelines. A summary and the detailed description of ICD 10 coding guidelines are given in this video from the American Academy of Professional Coders (AAPC): What is ICD-10. This Introduction to the ICD-10 Coding animated video was created by the Centers for Medicare & Medicaid Services (CMS). It explains the advantages of using ICD-10 medical codes. To understand and learn the Basic Steps in Coding ICD-10 CM, watch this video. The ICD-10-CM 2019: The Complete Official Codebook is a book published by the American Medical Association (AMA) containing the updated code set for easier and accurate diagnostic coding. The codebook is recognized as the foundation of medical recording to determine coverage and ensure proper reimbursement. It contains 21 aptly organized chapters in the Tabular List of Diseases and Injuries to provide quick and straightforward navigation and reduce the challenge of coding accurately. Supplementary appendices are also included, examples of which are pharmacology listings, coding tutorials, a list of valid 3-character codes, and additional information about Z-codes. It comes with a full list of code changes for a quick overview of the deletions, additions, and revisions of codes from the previous revision. It has the new Quality Payment Program (QPP) symbol on the tabular section for identifying associated diagnostic codes under MARCA. The book also provides more than 100 coding tips and more than 300 new definitions and illustrations designed to highlight critical information about a disease, process, or injury. The well-thought-out format includes full-color illustrations, color-coding, visual alerts, and symbols to identify coding instructions and notes, additional character requirements, and codes associated with Medicare Code Edits (MCEs), CMS Hierarchical Condition Categories (HCC), specified and unspecified codes and manifestation codes. The Placeholder X used for three, four or five-character codes that need a seventh character extension notifies the coder of an important ICD-10-CM convention. Lastly, the book also has coding guideline examples and explanations, a muscle/tendon translation table, and supplementary appendices. 1. Why is there a transition from ICD-9 to ICD-10? The transition was not optional but completely necessary because ICD-9, which was developed in 1970, was simply outdated and was based on obsolete medicine and technology. It does not have the necessary details for modern treatments and cannot accommodate new codes. ICD-10 provides greater detail and accurate, up-to-date descriptions of diseases and injuries as well as all of the possible contributing factors, socioeconomic impacts, and lifestyle-related issues. ICD-10 also has the space for technological innovations and is made better to support health information exchange among countries. 2. Is ICD-10 more challenging to use than ICD-9? ICD-9 and ICD-10 codes have entirely different structures. While ICD-9 codes are generally numeric with 3 to 5 digits, ICD-10 codes are alphanumeric and contain 3 to 7 characters. The process coding is still the same, although ICD-10 requires additional documentation and provides more information for the chosen codes, like the location of injury and external circumstances. 3. What will I need to include in my documentation? Generally, you need to include details like ordinality and laterality, but requirements vary depending on specific conditions. For example, under asthma, you need to identify if it is mild, persistent, moderate persistent, severe persistent, or intermittent whereas, for fractures, you only need to determine the Gustilo classification and fracture type. 4. What is the difference between ICD-10-CM codes and ICD-10-PCS codes, and which are used in an outpatient setting? International Classification of Diseases, 10th Revision: Clinical Modification (ICD-10-CM) and International Classification of Diseases, 10th Revision: Procedure Coding System (ICD-10-PCS) are the two different code sets of ICD-10. All information provided by the American Physical Therapy Association (APTA) is associated with the ICD-10 CM codes. This is also the code set referred to when most people talk about ICD-10. This is also used for all healthcare settings in the US. On the other hand, ICD-10-PCS is only used in hospital inpatient settings and are not necessary for outpatient settings. 5. Can I use multiple codes? Yes, you can use as many codes as needed to adequately and accurately describe the patient’s condition including the problem, diagnosis, or other possible reasons for the consultation. You can also use additional codes for describing any coexisting conditions. However, pay attention to notes that come with the codes since some codes cannot be used with other codes. 6. Can the ICD-10 code change throughout the episode of care? Yes, diagnoses often become more definitive or conclusive throughout the health service. You can change the codes or add diagnoses along with the corresponding ICD-10 codes. You also need to add codes for symptoms and signs that were identified but were not initially part of the diagnostic codes. Overall, the ICD-10 is an international standard system of coding used in studying, recording, sharing, comparing, and analyzing health information. It is a vital component of today’s health care system and the medical field. Meta-description: The International Classification of Diseases (ICD) is the complete official code system used by healthcare providers all over the world. This article will teach you more about the ICD 10 Coding Guidelines, the uses, features, benefits, and more! In 2016, statistics showed that around 20.4% of US adults suffer from chronic pain. Given the fact that you have visited this page, I am assuming that you are one of those adults suffering from pain, am I right? If pain has become the most dreaded part of your regular life, then it is about time that you pay a visit to a pain management doctor. However, you should be warned that finding pain management doctors can be a challenging task. There are so many things to consider, bases to cover, and questions to ask. With that in mind, you might be asking—how can I find pain management doctors near me? Well, you should read this article to find out! Before we go on our little witch hunt, you would surely want to know first how a pain management doctor can be able to help you. What exactly can they do for you? According to the American Society of Regional Anesthesia and Pain Medicine (ASRA), a pain management doctor is a physician who has specialized training in evaluating, diagnosing and treating all kinds of pain. The goal of these professionals is to help alleviate your pain and improve the quality of your life. The first thing that the doctor will do is to perform tests that can help diagnose your condition or at the very least, the cause of your pain. After pinpointing the problem, the doctor can help establish a pain management plan that is suitable for your condition. This plan may include medications, pain management techniques (physical, psychological, and behavioral) and if needed, surgery or other medical procedures. The best and most common way to find pain management doctors near you is by visiting a pain management clinic. This is a health care facility which focuses on the diagnosis as well as the management of chronic pain. There are two types of pain management clinic. The first one is a clinic that focuses on treating certain types of pain such as back and neck pain. The other one is called an interdisciplinary clinic which approaches pain by looking at the whole person. To find the right pain management clinic that is suitable for your condition, it is crucial that you ask your general practitioner for a referral. You can do this by calling your local medical center or hospital. You can also seek recommendations from your local pain support group. Lastly, you may also take a look at the list of pain management clinics in the Center for Advance Palliative Care. In addition to doctors, the team of pain management clinics may also include psychologists, nurses, physical therapists, dietitians, nutritionists, vocational and occupational therapists. Talk with your insurance company. If you have a medical or health insurance, then you should know the fact that your choice of pain management doctors will be limited by the list of doctors affiliated with your insurance company. Because of this, it is essential that you inquire with them a list of their affiliated healthcare providers and you can start your search with it. When it comes to healthcare providers, word of mouth is important. This is most especially true if these are opinions of your friends and family. It is true that you will learn a lot by reading reviews from previous patients. But with your friends and family, you are assured that your family and friends will have your best interests at heart. Because of this, it is best that you ask your family and friends if they know a pain management doctor who they can recommend to you. If you want to keep your search as quick and simple as possible, a simple online search is what you need to do. You can simply type in the keyword “pain management doctors near me” in the search engine, and a list of websites will pop up. Not all doctors are pain management specialists so you should not just choose any doctor. To know that you are talking with the right medical expert, he must have earned either an osteopathic or medical degree from a renowned medical institution. Additionally, he must have passed the United States Medical Licensing Examination (USML). He should have also chosen Emergency Medicine, Anesthesiology, Physical Medicine, Physical Rehabilitation, Neurology, Psychiatry, Radiology, and Family Medicine for their residency program. After the residency, the doctor must pass the American Board of Medical Specialties (AMBS) certification. He must also be certified by the American Board of Pain Medicine (ABPM). As mentioned above, the specialty of a doctor may vary, and it is important that you choose a doctor with the right medical specialty for your condition. Typically, the specialty of a pain management doctor falls under three categories—headache and migraine, back and neck pain, and neuropathic pain. Finding a reliable pain management doctor is not as easy as you think it would be. You will come across a lot of challenges, but if you stick to the information provided in this article, you can surely find the doctor that can help you with your pain. We do hope that this article can finally find the answer to the question that you have long been asking— how can I find pain management doctors near me? Sleeping a very important aspect of a healthy life- it means a lot more to your well being than just a night’s rest. In fact, everyone needs to learn how to sleep right. Depending on your sleeping posture, you need the right mattress to enable you to sleep well. We shall look at the best mattresses for side sleepers according to online reviews. Having the right mattress goes a long way in making sure that you sleep right. The best mattresses consider the user’s sleeping posture, weight and body size to provide optimal firmness and support. For instance, the best mattress for someone who sleeps on his or her back should be different from that of someone who sleeps on his or her tummy. A mattress designed to support the back will be uncomfortable and may be damaging to a stomach sleeper. It is estimated that about half the people are side sleepers, which means that most people sleep on their side. There are certain features that a mattress must have, to be considered designed with the side sleeper in mind. Most side sleepers assume the fetal position when sleeping which means that most of the weight will be in the middle of the mattress because of the curving of the body. A mattress designed for pressure relief to the shoulders, hips, and back would be ideal- one that will fill up the spaces left along the mattress profile as you lay on your side. The layering should be comfortable to accommodate the sinking body and weight. Firmness is basically the softness of the mattress feels and should not be confused with support which has to do with relieving pressure points and being responsive to the shape of the body. Medium to medium-firm mattresses is best for side sleepers. Firmness is also relative to one’s weight and comfort preference. The best side sleeper mattress must encourage and provide spinal alignment and support. The body curvature of the spine should be accommodated and gaps arising filled to support the spinal cord well. The mattress or material used, should be responsive to the body shape and weight to accord evenness along the sleeping body. The ideal mattress should come with a responsive comfort layer to accommodate the lower body at the hips and the upper body at the shoulders without sinking in too much. This is basically a consideration of how fast a mattress will retake its original position when someone moves from one place to another or gets off the mattress. The more resilient a mattress is the easier it will be for you to adjust your sleeping position and will be of great benefit to side sleepers who switch from one side to the other as they sleep. Go for a mattress with a thick comfort layer which provides sufficient comfort. It ensures that the weight does not overwork other supporting layers. How long will the mattress last? No one wants to buy a new mattress every year! The mattress should be designed and made to be durable while maintaining a high-performance level over time. Customer feedback or review is the best pointer to the durability of the mattress. This is related to all the previous features. The quality of material used determines the performance of the mattress. Look at the specifications and in particular, consider the composition and layering of the mattress. What is the thickness? What is the foam density? etc. Always seek the reviews about the mattress, especially the feedback from those who are already using the mattress. The more positive responses are from those USING it, the more accurate the positive feedback is. 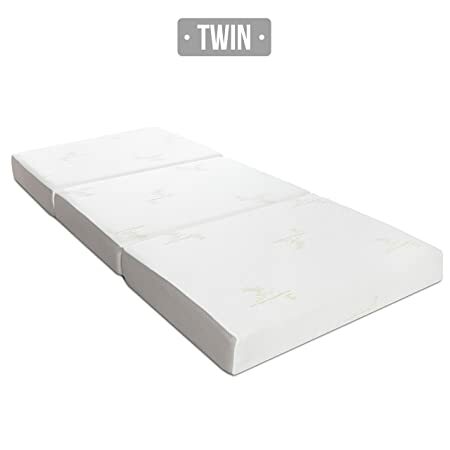 It is made of thick memory foam that is able to support almost any weight or size. It is quite firm yet comfortable; it is not one of those hard foam mattresses. It is made of a mesh of different layers of foam for the comfortable firmness and support. 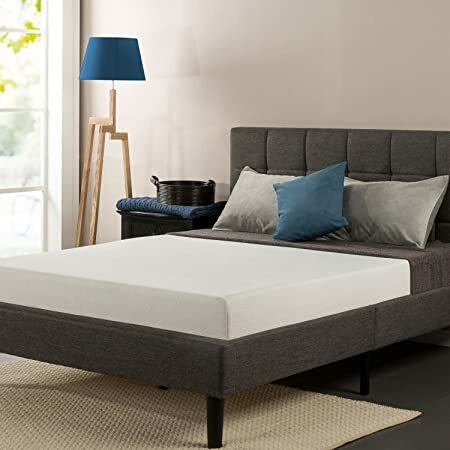 Edge support and strength is important in a good mattress; this mattress is firm on the edges to support the person sleeping on it from falling off. Adequately thick and firm for desired comfort and support, even under a lot of weight. Has strong edges for good edge protection. Well priced for its class. It is durable because the materials used can handle any weight and heavy use. It is not well ventilated for temperature regulation and one can feel very hot while sleeping. The factory chemical smell lingers for a while. It takes 3 to 4 days for the mattress to extend to full size because it is vacuum sealed. This is a foam and spring hybrid mattress. It is a combination of innerspring mechanisms and layers of foam on the outside. Compared to a spring only mattress, it has a dependable firmness to support big weight and still remains comfortably soft. It is made of temperature ventilating material to keep you from sweating as you sleep. Well ventilated for temperature regulation while sleeping. No factory chemical smell and is very easy to set up. Well priced for its size. Weak edges thus not offering adequate edge support and can easily fall off. It is a thin mattress and may be uncomfortable. Heavier people will probably sink in. This is an all foam mattress ideal for the hot spring and summer months. It is made of a well-ventilating material, with a layer of cooling gel on top for effective cooling. For a foam mattress, it is very firm and can deal with a lot of weight, with no sinking problems. The adaptive foam used is great at supporting weight as compared to latex or memory foam. Minimal movement means it is the best for sharing since you do not disturb the person next to you. With an addition of a layer of cooling gel, you are guaranteed cool sleep even when it is hot outside. It is very firm and can handle a lot of weight. Because of the thickness, sinking under one’s weight is a no-no. Does not have very good edge support. Some people have found the firmness to be too hard. 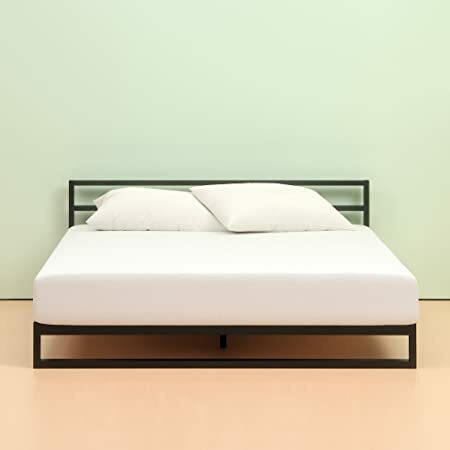 This Zinus is another hybrid mattress for the side sleeper; a combination of very good foam and heavy-duty springs inside. It is made nicely firm to support substantive weight for its 8-inch thickness, even though it may be uncomfortable for some people. Firm enough to support a lot of weight. Firm all over to the edges; good edge support. Competitively priced and is cheaper than those in its class. People who are really heavy can feel the springs in the mattress. It can be uncomfortable because it is thin and not thickly layered. Has a strong chemical smell that can linger for weeks. It is much like the 8-inch Zinus but much cooler and is certain to keep you cooler as you sleep. At 6 inches, it thin and comfort may be an issue. Cooling and well ventilated to minimize sweating. Good edge support to prevent falling. Heavy people will feel the springs which are uncomfortable. It may be best for children. The thin size means that it may not handle heavy use and thus not durable. The firmness may cause back problems. This is a memory foam mattress; quite firm with adequate edge support. It is comfortable and soft, for those who are not too heavy, despite the firmness to prevent back pain. It has a top cooling layer to prevent overheating. Adequately firm to prevent sinking in. Soft and comfortable despite the firmness. Too small; getting fitting sheets may be difficult. Has a lingering chemical smell. Too thin and may not be ideal for heavier people. 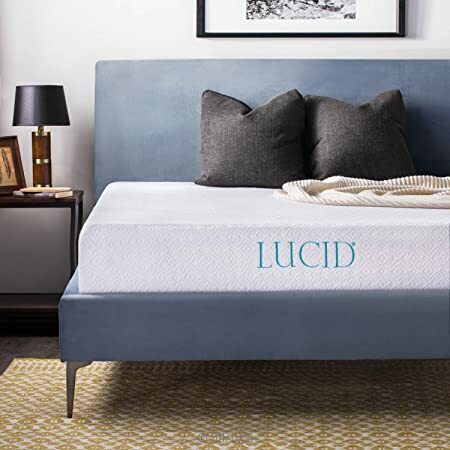 A hybrid mattress with a dense foam layer to prevent the person sleeping from feeling the spring coils. It is firm but still comfortable. The seams are not well finished and the edges are not firm. Adequately firm mattress but still soft and comfortable for any size and weight. Well-padded to prevent one from feeling the spring coils inside. A chemical smell lingers for a few days. Poor edge support, high risk of falling if you move to the edge. Not durable due to poorly finished seams. 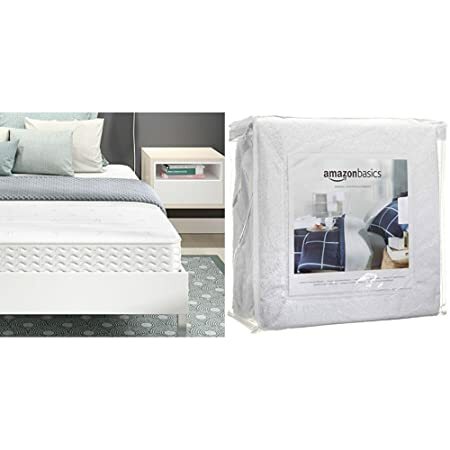 A highly durable memory foam mattress that is made for heavy use and will accommodate most sizes. It is made to disperse heat as one sleeps on it to prevent excessive sweating. Durable and is made to withstand heavy use. Disperses heat to reduce excess sweating. Takes long to inflate to full size and is a little smaller than indicated. Could be too firm to cause back pain. Has a long lingering chemical smell. 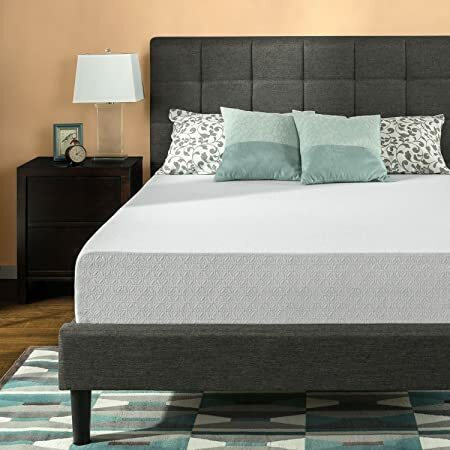 This is a premium-quality mattress made of two layers of memory foam. 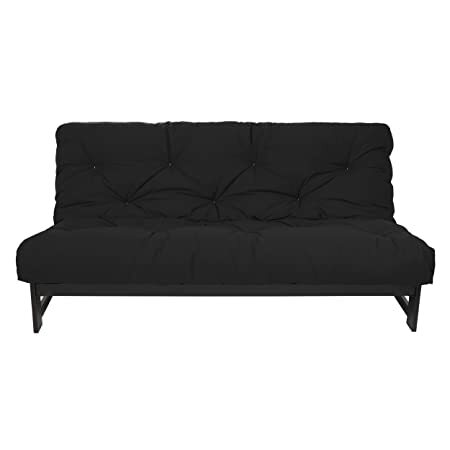 It provides great support and accommodates a lot of weight without sinking in. It is thick and soft for comfort. Firm but soft and comfortable. Thick enough to support a lot of weight. Takes up to two days to expand to full size. Soft edges mean that it may wear out quickly. Another memory foam mattress good for hot weather. It is well-ventilated with bamboo material and does not retain heat. It is soft and comfortable with good edge support. >Well ventilated to prevent overheating. Good edge support to prevent falling off if one finds himself or herself on the edge while asleep. Comfortable and soft to prevent the occurrence or worsening of back problems. Rarely expands to indicated size. Weak center; sags after a few months of daily use. Best for children or light adults; not firm enough for high weight. 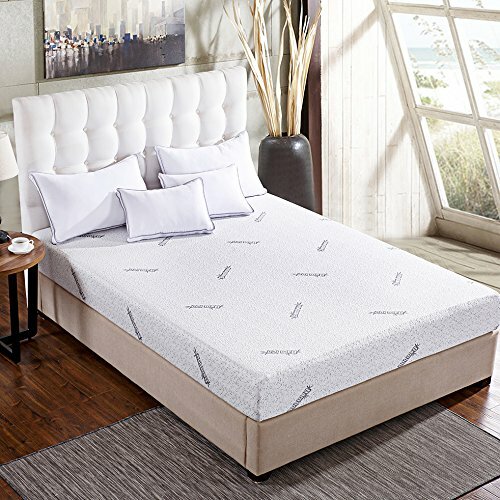 This a list of 10 best mattresses for side sleepers as per online reviews and feedback. This list is not exhaustive and is not a ranking. We have simply given you an idea of what it out there for you if you are a side sleeper. 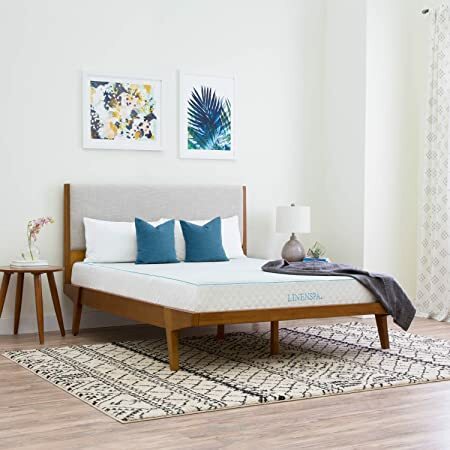 There are many brands and types of pillows, mattress and depending with your finances, comfort levels, health (especially back and breathing issues), and brand to type loyalty, you will be sure to find a mattress for you. Always consider the material the mattress is made out; depending on how it is made, mattresses are generally divided into two, foam and spring mattresses. Spring mattresses made from metallic spring coils are generally firmer but can be when the springs get loose and weak. Foam mattresses are generally more comfortable because they are softer, however, they offer less support. As much as they conform to the body, they sink. 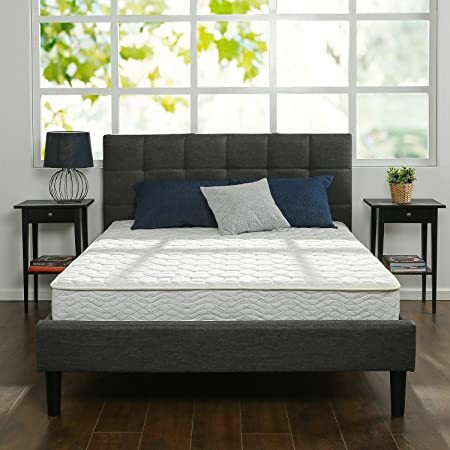 The best approach to get the mattress fit for you is to shop around and try them before you purchase- comfort and fitness is an individual issue. For you to enjoy a good night’s sleep, you can’t simply use any pillow to support your head; you have to get the right pillow to ensure that you sleep comfortably throughout the night and that your neck is well supported for health reasons. There are different types of pillows available and each has its own unique comfort level. We are going to look at the different pillows available on the market and analyze the best attributes of each to guide you on how to choose the right pillow for you. Down pillows are made from feathers plucked from the bellies of waterfowl. They are extremely soft and cushiony and are thus most recommended for those who sleep on their stomachs. This pillow can easily be washed when it gets dirty. It is very light, long lasting and does not cause sweating during sleep. However, they are quite expensive because of the feather stuffing. The body pillow is specially designed to cradle the length of your entire body while you sleep. 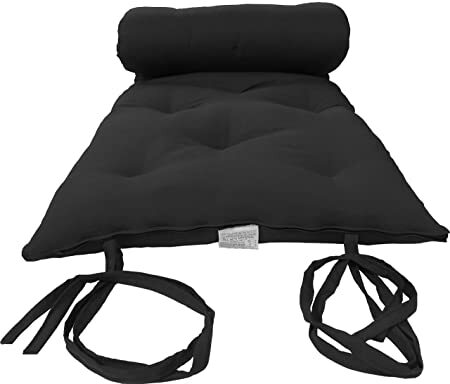 It can provide extra back support when lying in bed or when sitting up on the bed. It is very comfortable for pregnant women as it easily accommodates body changes during pregnancy. 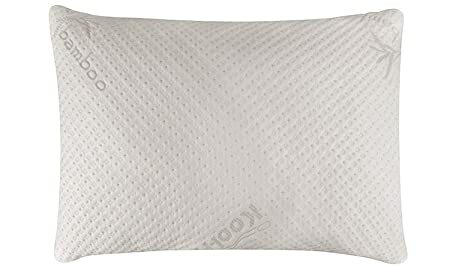 The downside is that finding a pillowcase to fit your exact b0dy pillow is not easy and it can’t be washed too often because it will be damaged. Contour pillows are specially designed to support both side and back sleepers. They are made from materials such as water, memory form, and buckwheat. 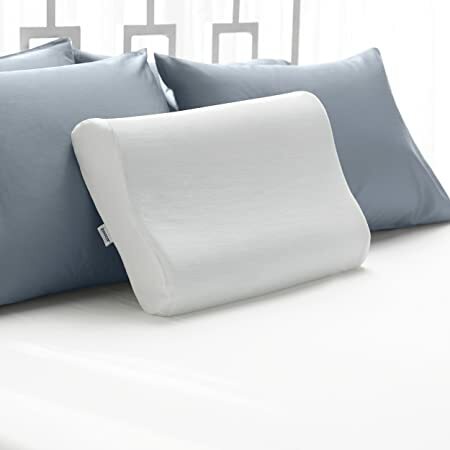 The middle part of the pillow is designed to curve down so as to provide more support for your head. It is great at reducing snoring by keeping one’s airways open when sleeping. This pillow is not designed to support stomach sleeping which is its only glaring disadvantage. The memory foam pillow is made from polyurethane to increase its density and viscosity. It is designed to react to your body temperature thus molding to the position of your head and neck and then returning to its original form once you get up. It is highly recommended for people who are suffering from neck, back and shoulder problems. 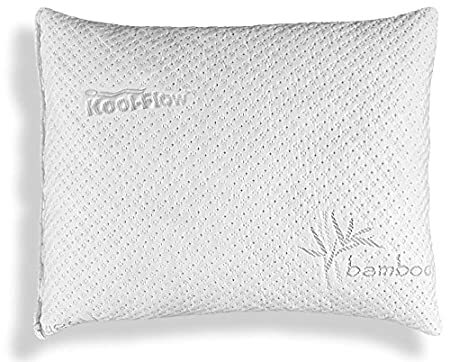 These pillows are not recommended for infants as it limits turning during sleep and the material is also very flammable. Buckwheat pillows are made using the hulls of buckwheat which are the husks that protect buckwheat kernels. These pillows are highly affordable and long-lasting. They don’t cause sweating during the night, therefore, are good for a peaceful and comfortable sleep. The disadvantage is that they are heavy and very noisy and may sometimes cause allergic reactions. Feather pillows are made from small, curved feathers that are very comfortable to lie on. 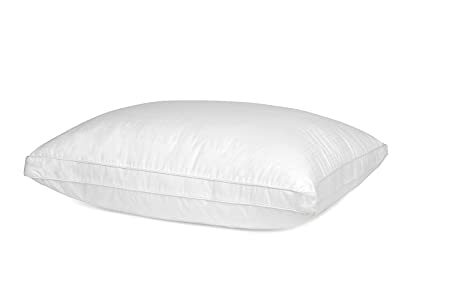 These pillows are long lasting and they usually spring back after the weight of your neck and head are removed. The only disadvantage is that the quills may be a bit uncomfortable when turning in your sleep. Sleep apnea pillows are specially designed to accommodate the machine for sleep apnea treatment. 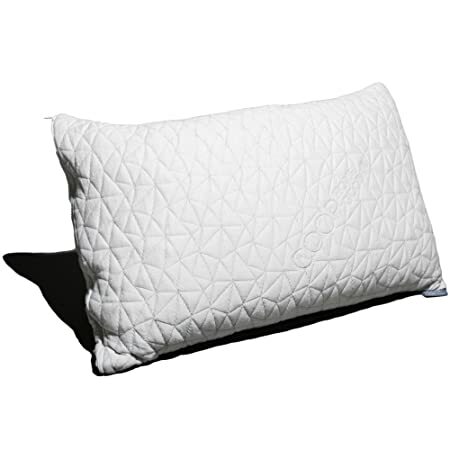 The materials used for this pillow are either foam or polyester fiberfill. Wedge pillows have a triangular shape that allows you to support different areas of your body. They are made with materials such as polyester fiberfill, foam or a mixture of both. These pillows are great for reducing acid reflux or reading in bed since they prop up your upper body properly. You can also use them to reduce discomfort caused by varicose veins or even increase your comfort during the second and third trimester of pregnancy. Neck pillows are specially designed to support your spine. This helps to ensure that your neck and head stay properly positioned to ensure the right posture and comfortable sleep. Water pillows are extremely comfortable pillows that are usually made from water and polyester fiber. 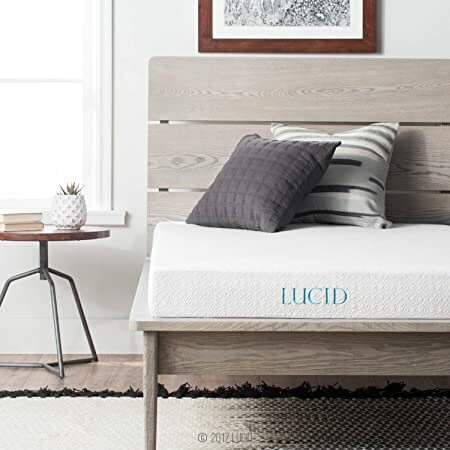 They provide you with a cooler temperature while you sleep and the water adjusts to accommodate the best firmness and height that best suits you. The only disadvantage of this pillow is that it does not support stomach sleeping. There are other types of pillows, however, the ones listed above are the major types available to you on the market. All the listed pillows have their unique advantages and disadvantages which make them stand out from one another. It is important that you choose a pillow that will better meet your sleep needs if you would like to enjoy a comfortable night. A comfortable pillow is just as important as a good quality mattress because it supports your neck and head while you are sleeping. If you sleep on an uncomfortable pillow, you will toss and turn throughout the night and wake up with a sore neck. This will only work to reduce your sleep quality and give you a grumpy mood during the day. A good pillow may cause you a bit more money but it will be worth every cent when you are able to sleep like a baby throughout the night and wake up feeling fresh. If you are not sure what type of pillow to use, you may contact a qualified physician for professional advice.